Winy Maas is the founder and chief architect of MVRDV, a global architecture and urban planning company known for projects such as the Netherlands Pavilion at the 2000 Hanover Expo and Grand Paris Plus Petit, which depicts the company’s vision of Paris in 2030. The prize-winning work depicts the Seoul Station Overpass as a massive tree in the skygarden, creating a library-like collection of local plants arranged according to their names in the Korean alphabet, from Toegye-ro to Jungnim-dong. 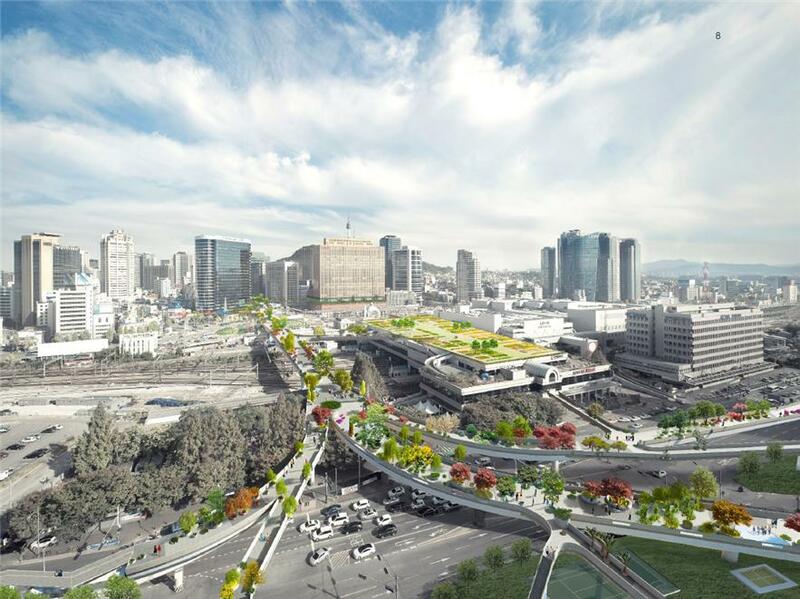 Street lamps will line the overpass like tree branches, organically linking the 17 pedestrian pathways that the Seoul Metropolitan Government requested be built. The futuristic and innovative characteristics of the prize-winning design received high praise, as its vision and strategy focuses on turning a concrete structure into a place of vitality and life, using nature as a medium. Moreover, the judges widely supported the design as it permits the extension of the green areas around Seoul Station and places great importance on the collaborative process of the renewal project, allowing various citizens and agents to be actively involved.